Fight your way to the top in DragoDino, an epic adventure set in an ever changing world! Meet Bob, a DragoDino, and guide him through the 10 levels of the Forest Kingdom in a quest to recover his lost egg stuck atop a giant tree. Explore and fight enemies to reach ever higher, collecting powers on your way up to help you in your quest. But be careful, the guardians you'll meet won't let you through that easily. Mix and match power ups, play as various DragoDinos, taking advantage of each one's abilities. Enjoy 2 difficulty modes, plus a free mode to practice and improve. In solo or in co-op, rise to the challenge! 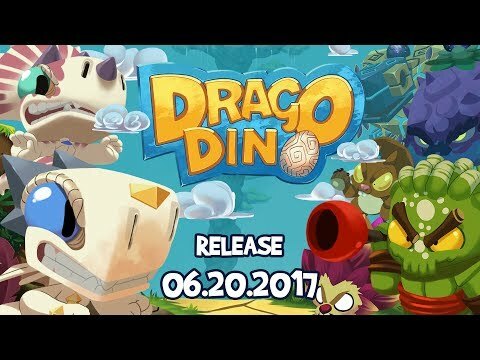 DragoDino was released on Switch and Xbox One 363d ago in the US and the UK. Notify me when DragoDino is available.